As an Eagle Scout, may you spread your wings and soar to the highest heights; leading and setting a cheerful example of honor and courage loyalty and service. Eagle Scout is the highest rank attainable in the Scouts BSA program. The fact that someone is an Eagle Scout has always carried with it a special significance, not only in Scouting but also as they enter higher education, business or industry, and community service. Not every boy who joins a Scouts BSA troop earns the Eagle Scout rank; only about 5 percent of all Scouts do so. This represents more than 1.7 million Scouts who have earned the rank since 1912. Only 2 out of 100 youth that join Scouts will earn the rank of Eagle Scout. 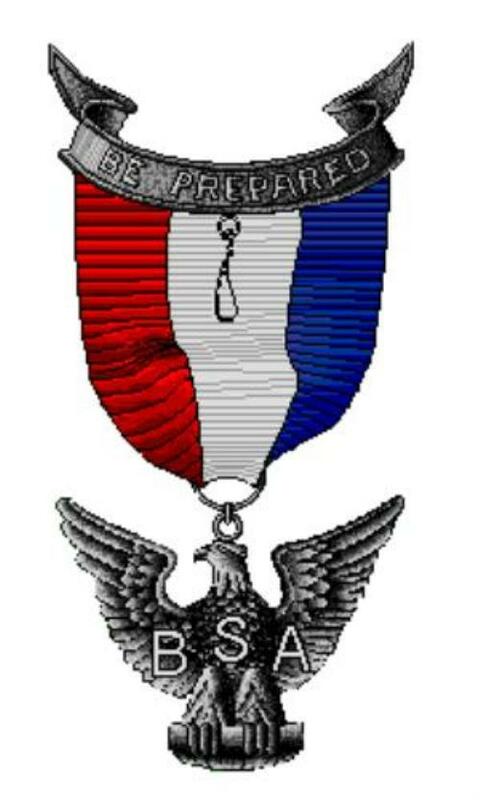 The title of Eagle Scout is held for life, thus giving rise to the phrase "Once an Eagle, always an Eagle". On my Honor I will do my best to make my training and example, my rank and my influence count strongly for better Scouting.